Cooking tomatoes in olive oil, as is traditional in the Mediterranean, increases the absorption of lycopene (an antioxidant known for its role in heart health and prostate health). Across the ocean, in ancient Mesoamerica, corn was soaked in lime to provide niacin, a B vitamin necessary to prevent pellagra. And all over the globe, variations of rice and beans have been eaten for centuries, which have complimentary amino acids that produce a complete source of protein. 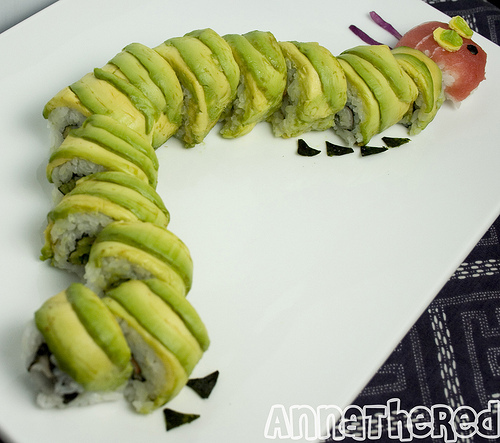 As these examples illustrate, traditional cuisines and food pairings have a lot to teach us. This is one of the main reasons why I decided to compliment my nutrition education with a degree in Gastronomy, learning more about culinary traditions and global food cultures. While there is no reason to toss aside culinary creativity, there is reason to be wary of hyper-processed “Frankenfoods” that have no root in logic or tradition. 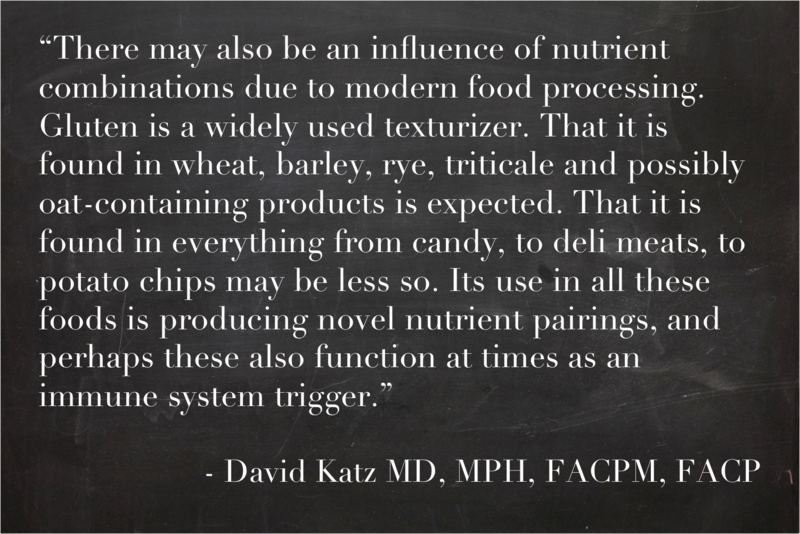 Dr. David Katz illustrates this caution in a recent article about the rise of gluten sensitivity. The same could be said not only of gluten, but also of soy and corn products. After all, these ingredients show up in nearly every highly processed food, and often in strange combinations. This point is famously illustrated in The Omnivore’s Dilemma, when Michael Pollan deconstructs a McDonald’s meal to reveal that a shocking number of ingredients—56% of Chicken McNuggets, for example—are derived from corn. Instead of letting food scientists dictate which foods and nutrients belong together, step into the kitchen and let traditional cuisines be your guide. Food and the Senses is one of the 4 required core classes for the Gastronomy program, and is the best one that I’ve taken yet. Classes always had a small sensory experiment, which included everything from blind taste testing to dark chocolate and red wine pairings to molecular gastronomy demonstrations. The hands-on, scientific aspect of the course was a refreshing change of pace from other classes in the program, which are often very focused in anthropology. Like most gastronomy courses, the final project was open to pretty much whatever we wanted to study. We just had to write about a food topic and how it related to the senses. 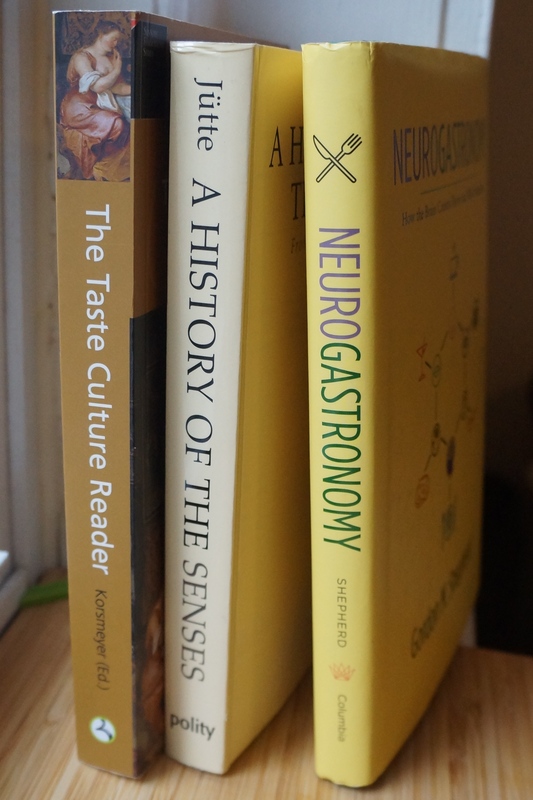 I wrote about improving the sensory appeal of vegetables, while my classmates covered topics as diverse as the rise of popularity of comfort food, and the sensory aspects of Jewish culinary traditions. The class was taught by Netta Davis, who graduated in the first class of the BU Gastronomy program when it was created. From living on a vegetarian commune to working as an assistant to Julia Child to being a food writer in Spain, Netta has an entertaining anecdote for every culinary situation, and has the perfect personality to teach such a hands-on course. Admittedly, I am a little too Type-A for her free spirited teaching style, but I can’t say that I didn’t love the class. Through the “Let’s Move” Initiative, First Lady Michelle Obama has been a relentless voice in championing healthy habits. It is inspiring to see one of the most public figures in America devote herself to such a noble cause, addressing not only the American public, but the food industry as well. I am particularly impressed by her September 18th address on food marketing to children (check it out here). Marion Nestle is my absolute favorite voice in the nutrition and food systems arena. While not a Registered Dietitian, this NYU nutrition professor and public health expert has a no-nonsense interpretation of nutrition science that simply can’t be argued with. Her bluntness is refreshing, and she has no problem pointing fingers when talking about the culprits of obesity. Marion Nestle has written several insightful books, and I am completely addicted to her blog, foodpolitics.com. Kathleen Marrigan has been a champion of organic and local foods from the very beginning. In fact, her MIT dissertation became the basis of the 1990 Organic Foods Production Act. In 2010, Time Magazine named Kathleen Marrigan as one of the 100 most influential people in the world. She has held various positions for the US Department of Agriculture throughout her career, including most recently the Deputy Secretary (a post from which she retired in March of 2013). During her time there, she managed the Know Your Farmer, Know Your Food initiative, and worked tirelessly to strengthen the American food system. Oh yea, and she’s a longhorn (hook ’em!). In 1971, 27 year old Frances Moore Lappe wrote the book on sustainable diets. Literally. In Diet for a Small Planet, she made made waves by re-framing world hunger as a problem of distribution, not a problem of production. Since then, she has authored or co-authored 17 other books related to world hunger and living democracies, and has co-founded 3 organizations (Food First, the Small Planet Institute, and the Small Planet Fund). Her enthusiasm has been an inspiration to numerous activists over the years, and I am proud to be a new member of the Small Planet Institute team. Anna Blythe Lappe is the daughter of Frances Moore Lappe, and was also a co-founder of the Small Planet Institute. 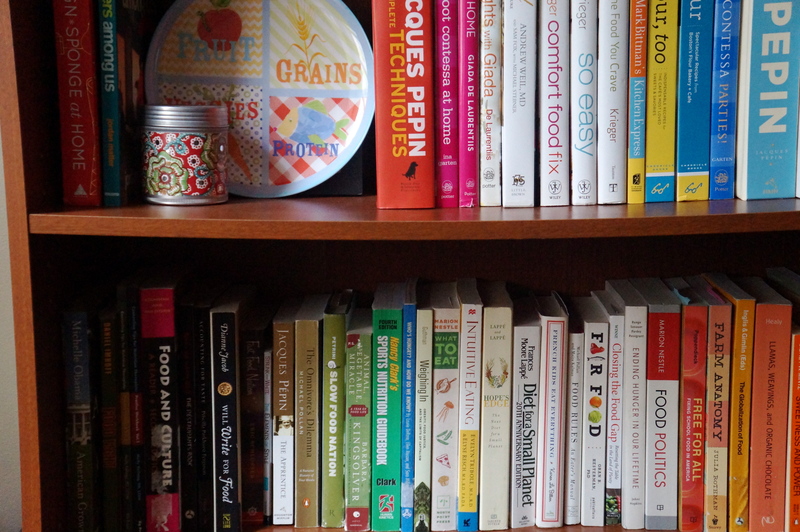 Anna has written multiple books, including the recent publication, Diet for a Hot Planet. 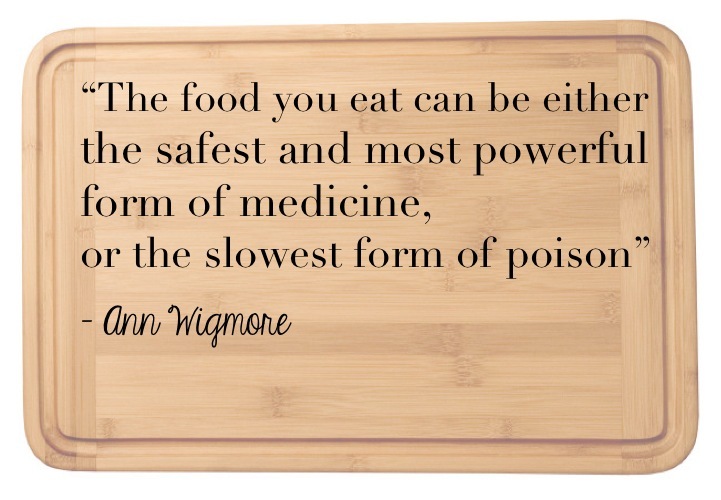 She is also an advocate for “real food” and sustainable food systems (causes near and dear to my heart!) Check out her TED talk on food marketing to children here. When people search for the beginning of the local food revolution, many people point to Chef Alice Waters. 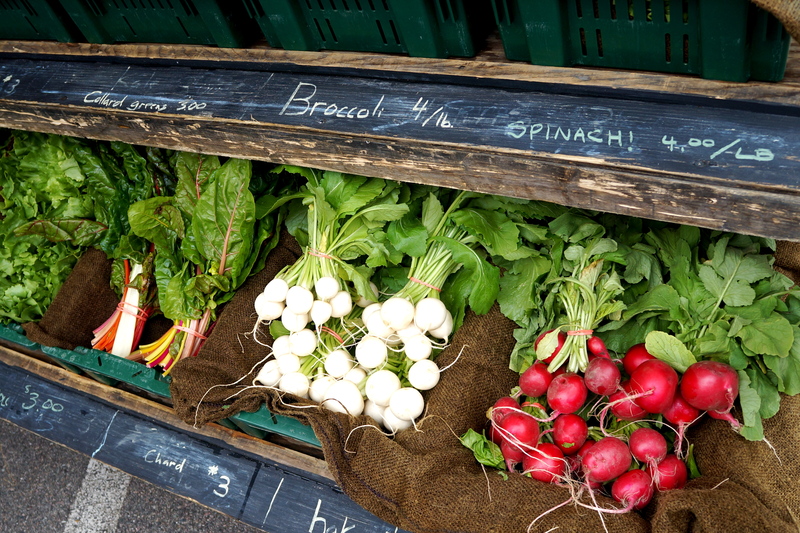 Since the 1971 opening of Chez Panisse, Alice Waters has shown consumers the magic of local, seasonal food, as well as helping chefs and other members of the food system see that eating locally and seasonally is not only possible, but profitable as well. In 1996 Alice expanded her reach into children’s food and nutrition education by founding the Edible Schoolyard Project. Chef Ann Cooper, aka the Renegade Lunch Lady, is working hard to show our kids what healthy, delicious food looks like. Reforming the National School lunch program is a HUGE challenge! (I would know, I spent 6 weeks managing an elementary school cafeteria). So I applaud Ann for acting not only as a role model in her own school district, but as a consultant and advocate as well. Ellie Krieger is a Registered Dietitian, television chef, James Beard Award winning cookbook author, and consultant to Michelle Obama’s “Let’s Move” anti-obesity initiative. With her recipes, Ellie Krieger proves that healthy eating is not a punishment, and that choosing health does not mean sacrificing taste. It’s exciting to see RDs become public figures and have the opportunity to model healthy behaviors! Located in India, Dr. Vandana Shiva is a world renowned expert on agriculture and food systems. She started started research and advocacy organization Navdanya “to protect biodiversity, defend farmers’ rights and promote organic farming”. A relentless advocate for environmental activism and biodiversity, Dr. Vandana Shiva has also authored numerous books. That’s my list! I would have loved to feature 10 women (because 10 is a nice, even number) but these were the main ones that came to mind. Any ideas? P.S. For photo credits, click the image. Like many children, my story time picks were often supplemented with a colorful dose of Eric Carle. While Brown Bear, Brown Bear, What Do You See? was probably the family favorite, perhaps the most iconic Eric Carl book is The Very Hungry Caterpillar. 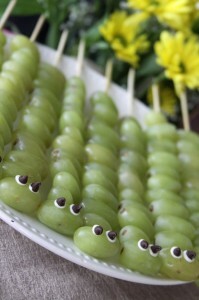 In fact, if Pinterest is any indication, this classic story is now a very popular party theme. Anyone can arrange green and red cupcakes on a platter and call it a day, so I scoured the web to bring you the best HEALTHY platters inspired by Eric Carle’s classic. 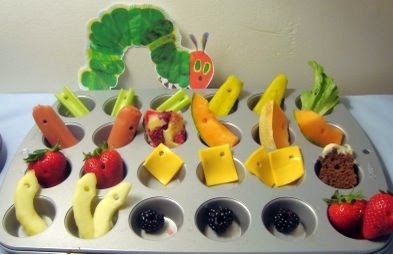 Whether you are throwing your own Very Hungry Caterpillar party and looking for healthy platters and snacks, or you simply want to jazz up your children’s meals with inspiration from this much beloved story, the following images should inspire you. It seems simple, but eating a healthy diet is really one of the best things we can do for our health. However, we are still not using food to it’s full potential. Healthier foods might seem more expensive up front, but if anything is worth a premium, surely it would be our health. Below is a great infographic (from Bipartisanpolicy.org) to illustrate this point. So how can we let food be thy medicine? By purchasing high quality, nutritious, whole foods, and by making investments that make healthy choices easier and more enjoyable. Creating healthy habits is the ultimate way to invest in your health. 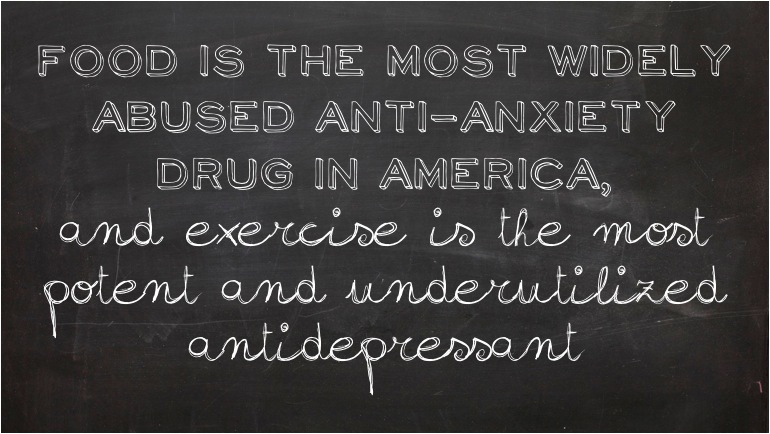 What healthy habits do you want to establish? One question that I often get asked is about how I got interested in my field. Why nutrition? Growing up, I always enjoyed reading the “health” sections of newspapers and magazines. I loved the idea that I could take control of my health by eating a nutritious, balanced diet. When choosing a major for college, I wanted to choose a degree that would provide me with useful knowledge, no matter where my career might take me. Regardless of where I worked (or even if I became a stay-at-home-mom), I knew that the information I learned about how to eat healthy would be beneficial for the rest of my life. It’s just good life knowledge. And if I could make a career out of it… even better! I also knew that I wanted a career that helps people (and preferably, helps the planet as well). While doctors, nurses, and trainers all work to make people healthier, nutrition seems more, well… fun. After all, food is fun! And in this blog, I try to show that eating healthy can be enjoyable. For more about my journey and professional experience, see the “Meet Kelly” page. How did you choose your career path? Are you interested in nutrition? P.S. Kinda obsessed with bookcase styling. See here. Ugh. I hate this question. 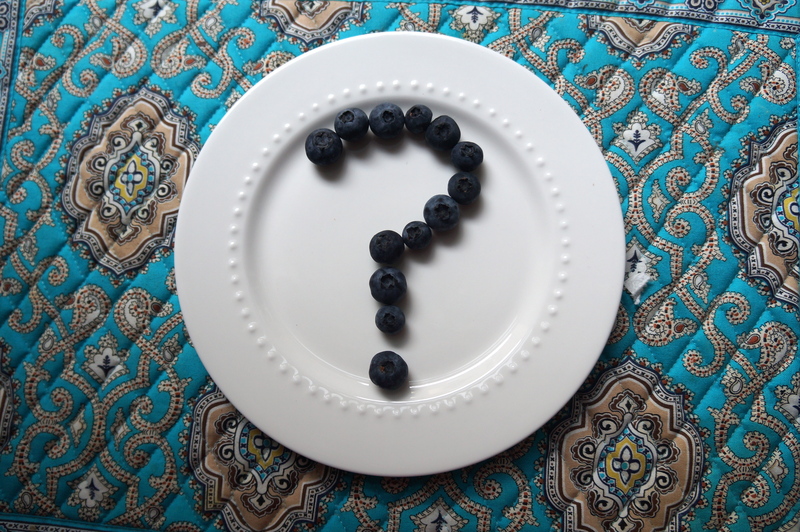 There is a perception outside of the field that Dietitians take a reductionist view of nutrition, and that they know some secret, ideal nutrient combination for health and longevity. While individual nutrients can be very important in specific disease states, such as carbohydrates in diabetics, or Vitamin K in blood clots, that is not the gist of the field. I am a Dietitian. I work with diets. My preferred tools are not supplements or protein powders- just good old fashioned fruits and vegetables. I tried my best to explain that it can be dangerous to place emphasis on a particular food, rather than the diet as a whole. While certain foods such as, kale or pomegranate, are high in trendy antioxidants, we need a wide range of nutrients from a wide range of foods. No single “superfood” will make up for the sins of an unbalanced diet. Eating acai berries every morning does not compensate for frequent indulgences in greasy, nutrient poor foods. Actions don’t cancel each other out. Rather, they build up over time. I went on to explain that nutrition science is very young, and that plants have so many important components that we don’t even know about. I tried my best to paraphrase Michael Pollan’s explanation of this (from In Defense of Food)… That we thought we had it figured out when we discovered the macronutrients: protein, carbohydrates, and fat. And then we thought we had it figured out again when we discovered vitamins and minerals. And now we are discovering antioxidants and phytochemicals. There is so much about plants that we haven’t discovered yet, that it is silly to put a specific food on a pedestal for being a rich source of the nutrient of the month. We need variety. While this probably wasn’t the answer that my companions were looking for, hopefully they came away with a better understanding of good nutrition. I won’t speculate on what the healthiest food is, but I can help speculate on the healthiest diet. The healthiest diet is rich in minimally processed fruits, vegetables, whole grains, and carefully raised animal products. The healthiest diet is low in processed junk foods and deep fried concoctions. The healthiest diet allows for indulgent and seemingly non-nutritious foods, but understands that indulgences are not an everyday treat, and are meant to be enjoyed thoughtfully, rather than mindlessly scarfed down. The healthiest diet is balanced, varied, and moderate. And most important of all, the healthiest diet is nourishing, sustainable, and pleasurable.